Caring for senior citizens is a full time job, and while great attention is paid of the physical health of this vulnerable population, routine dental care may be overlooked. Caregivers face a number of challenges when it comes to helping the elderly stay healthy. Problem- Dry mouth which affects 30% of adults over 65. Dry mouth is often a side effect of medications, and can lead to mucositis, cavities, cracked lips, and inadequate nutrition. Additional problems created by dry mouth include difficulty swallowing, infections and/or gum disease. Solution- Avoid consuming caffeinated drinks, alcohol, acidic juices and soda. Drink water. Don’t smoke. Chew sugar free gum or candy. Problem- 50% of people aged 75 and older have at least one cavity. If even one cavity is left untreated it may result in a tooth abscess (infection) or destruction of the pulp (inside the tooth) leading to tooth loss by extraction. Solution- Because cavities do not necessarily cause pain, it’s essential to access a house call dentist who specializes in quality geriatric home dental care. Solution- Check the mouth and pay attention to any of these symptoms, and schedule an in home geriatric dental appointment right away. Problem- Nerves in the teeth recede as people age, which may cause cavities that may go unnoticed until the decay has advanced. Solution- Provide assistance as needed to help an elderly person maintain routine dental care. Schedule an appointment with an at geriatric housecall dentist. Accessing regular dental care for the elderly can be a challenge, but there is a solution. Dr. Alisa Kauffman specializes in quality home dental care for seniors and has over 30 years of experience. Dr. Kauffman is experienced in providing gentle dental care for seniors with Alzheimer’s Disease, Parkinson’s Disease, and all forms of Dementia. For more information about quality home dental care for seniors, please contact us at (917) 826-6278 or schedule an appointment in the New York City area. Don’t let your aging parents be relegated to the category of unimportant. Fight to meet their needs and show they matter. 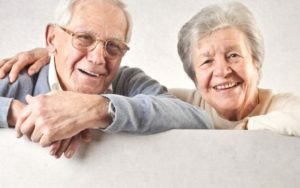 Aging is, without a doubt, a difficult process to watch your loved one go through; but however difficult for you, it is even more difficult for the one aging. Our society has catapulted the agile, strong, young and quick minded to the forefront of every cultural platform across all areas of life. And because one never truly understands the challenges of aging until they’ve aged themselves, key needs are often not met for our elderly citizens. One of these oft neglected needs is dentistry for aged parents. Only within the past 30-40 years has there been a development in quality dental care for aging parents that is both affordable and accessible. This much needed trend in dentistry – mobile geriatric dentistry – has been developed to meet the unique challenges of homebound elderly individuals. In particular, Dr. Alisa Kauffman of Geriatric House Call Dentistry has been dedicated to serving the elderly population with her knowledge and skills for over 30 years. What Can You Expect in Dentistry for Aged Parents? One of the biggest challenges facing the aging population today is the ability to receive the care they need by qualified medical specialists and professionals. Transportation can be a difficult, expensive and highly involved process for some elderly, as it’s not nearly as simple as hopping in a car and driving to the dentist. Many aging parents that need dental work are homebound and possibly even bed bound. Geriatric House Call Dentistry brings the dental services right to their front door, and even right up to their bedside. As you well know by now, our aging parents begin to hold tightly to the comforts that bring familiarity and safety. Things such as a favorite chair, bed or cup can become absolute necessities for their state of peace. Dr. Alisa Kauffman readily treats your parent wherever he or she feels most comfortable. Unfortunately, many elderly begin to develop diseases such as Alzheimer’s or dementia that greatly affect their state of mind, and sometimes even their behavior. To have effective dentistry for aged parents, you must find a dentist who is well versed in dealing with these behavioral challenges and willing to exercise patience. Dr. Kauffman has many patients that suffer from these unfortunate conditions, but she treats them the same as all her other patients – with respect, camaraderie and care. Shel Silverstein’s poem at the beginning communicates a sad truth about the aging community in our society. We often neglect and forget them because they don’t fit into our societal norms. However, at Geriatric House Call Dentistry our goal is to change this misguided truth one elderly individual at a time. We can’t fix every issue facing the elderly. But we can provide quality dental care for elderly that meets all the physical and emotional needs of your aging parents. While we know we’re not changing the whole world, we do hope to change the world of each elderly patient we treat by showing them that they matter, they are loved and they are cared for. Call Geriatric House Call Dentistry at 917-826-6278 or fill out your information to receive a call from us.